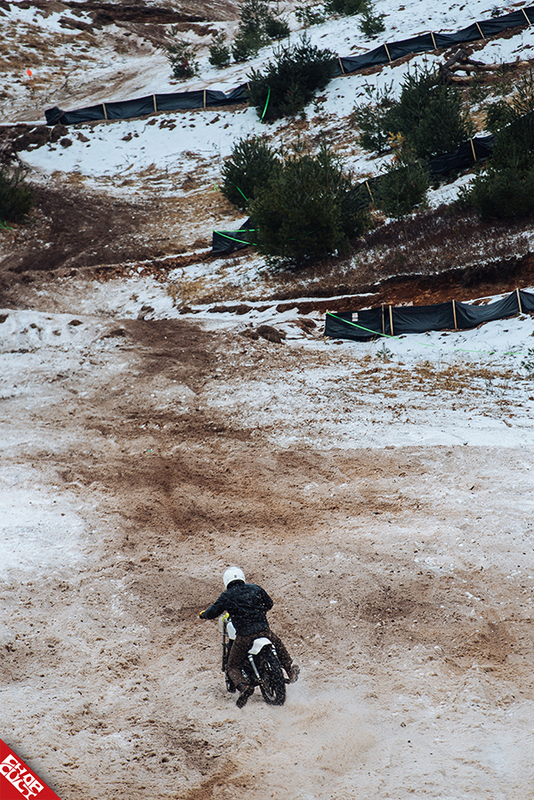 I honestly had no idea what to expect from the Appalachian Moto Jam, a one-day motorcycle hill climbing event in the Appalachian Mountains put on by Kenny Buongiorno. 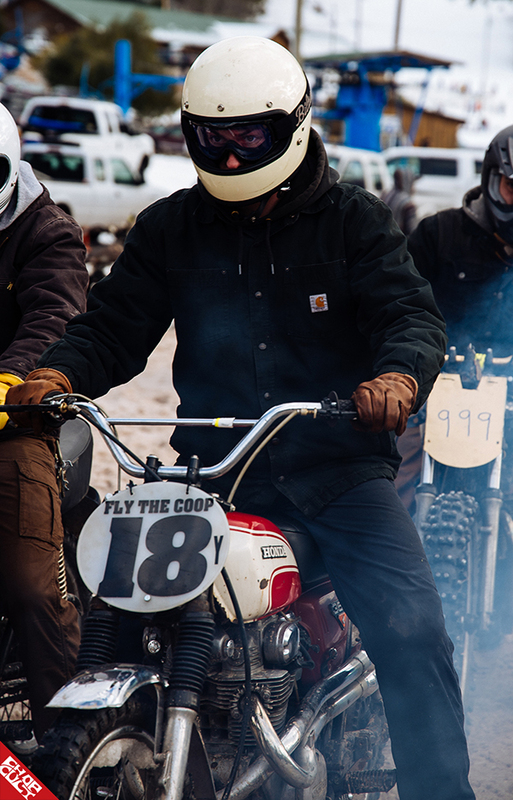 However, when I arrived at the event, rolled down the window, and drove on through the gate, I instantly recognized the familiar smell of fuel and two-stroke fumes. The Moto Jam was more authentic than what I’ve been to in the past. Usually there is a big banner proclaiming who’s sponsored the event, who’s handing out the beer, and what bands will be playing. To find this event I got lost once or twice just to find the main entrance. There was a make shift swap meet with people selling all sorts of parts out the back of their trucks, and if you didn’t bring beer you had to take a hike to the cabin. 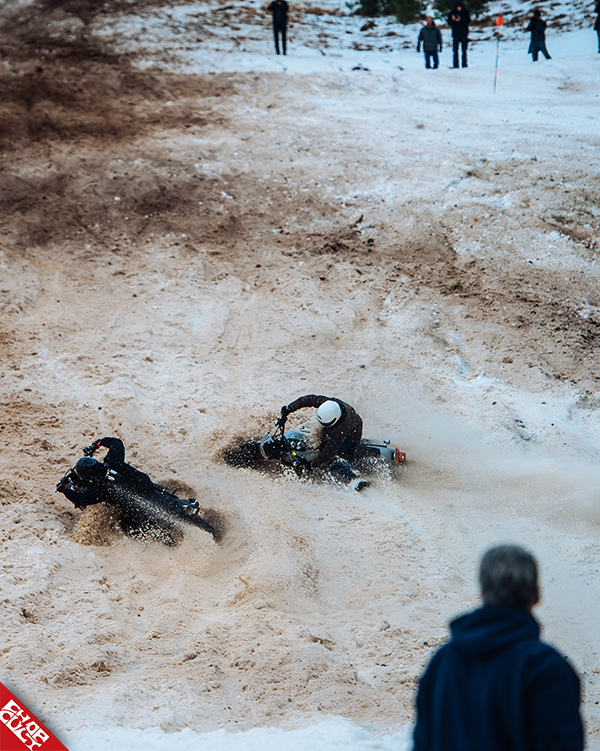 To make it even more insane and bizarre, the variety of bikes that were being raced was off the wall, from small Hondas, to no-holds barred motocross, to monstrous Dynas, everyone was dumping clutches and pulling their throttles to make it up the steep and unforgiving hill. Some were unsuccessful on multiple occasions. Some were thrown from their bikes but got back up, and in the saddle, while others blasted up the mountain so fast that if you blinked you probably missed it. If you missed this event I feel bad for you. It was a truly unique and special event in a time where motorcycle events are starting to blend together more and more. The pure thrill of sportsmanship, debauchery, and mayhem had the fans screaming for more. 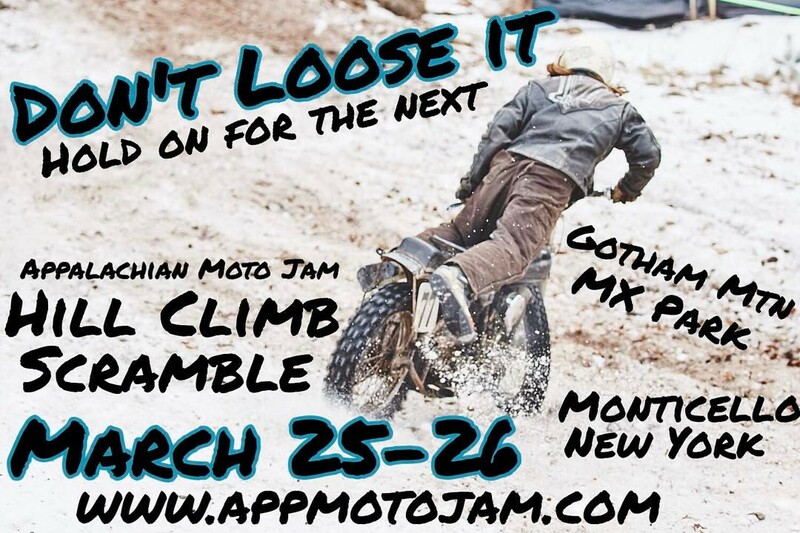 The next Motorcycle Snow Climb & Scramble is happening on March 25-26 at the Gotham Mountain MX in Monticello NY. Check out Moto Jam’s website to get involved and give them a follow on Instagram and Facebook. Article and photographs by Liam Kennedy.